In the last two years, DeskTop market has changed. OC market becomes smaller. The main reason is mainstream CPU can afford most application requirements. Also, only high end CPU and chipset structure can do more OC. If you would like to have higher frequency or save video converting time, OC is still a good way. Besides OC and performance, the other key selling point of high end PC is Gaming market. You may hear about eSport. PC still has more advantage in high performance 3D field. This review is Ivy Bridge most high end platform. It owns high performance OC and Gaming specs. K series is unlocked. There are only two for Ivy Bridge, 3570K and 3770K. 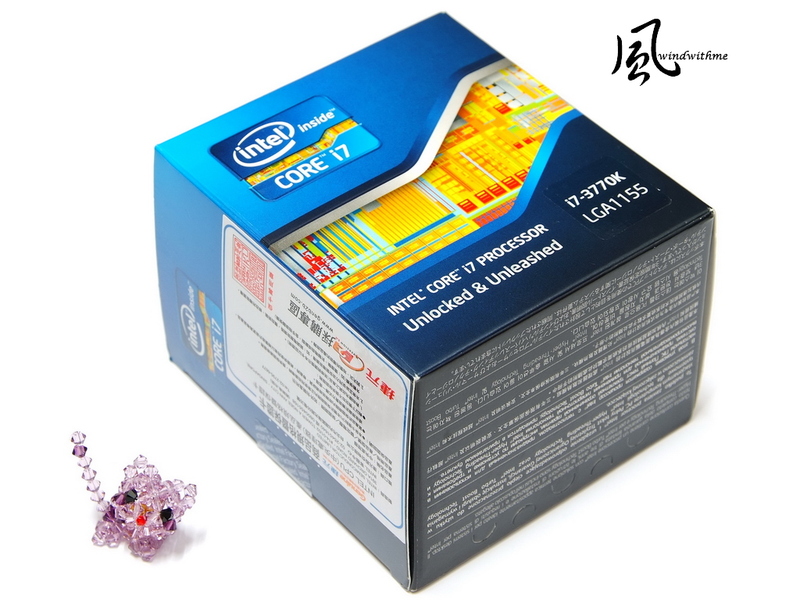 Intel packing, 2nd and 3rd Core I series both use same product pictures. 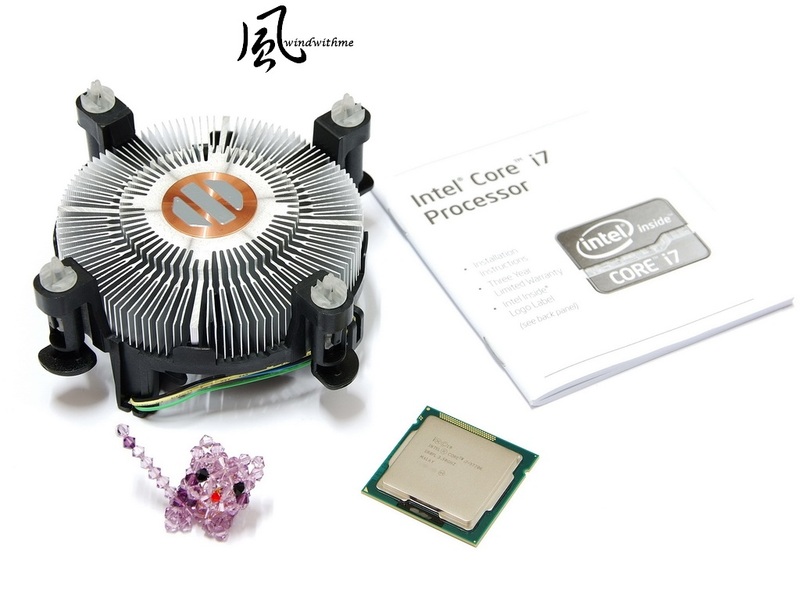 Contents are CPU, original cooler, product manual, and Intel sticker. Intel 4 Cores CPU all use cooper bottom cooler. 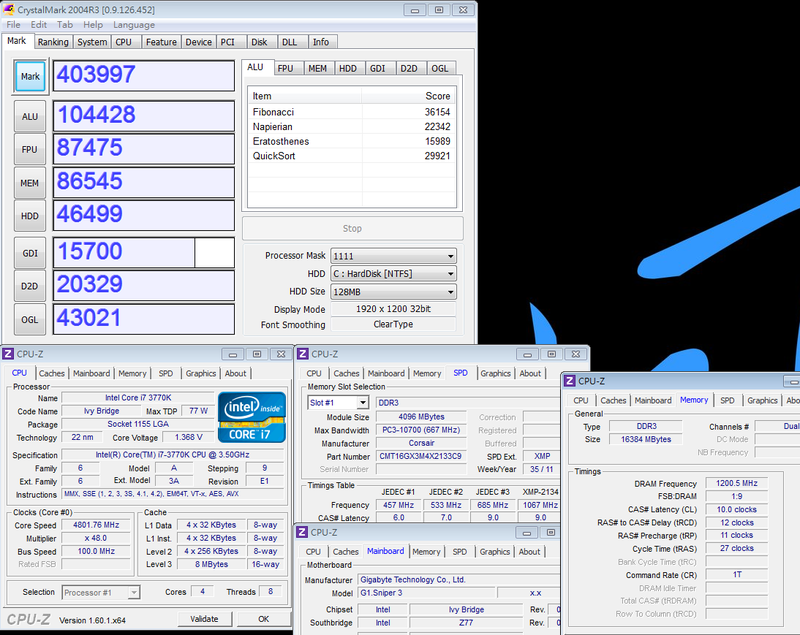 3770K frequency is 3.5GHz. 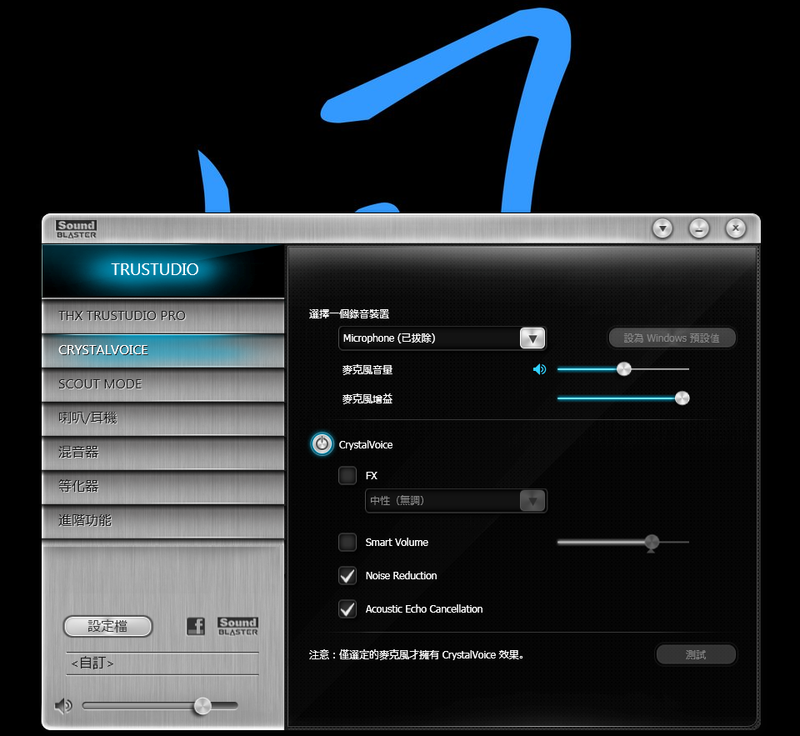 It supports latest Turbo Boost 2.0 technology, max speed is 3.90GHz. It’s physical 4-Core and Hyper-Threading technology supports 8 threads. It calls 4C8T. 22nm manufacturing, power consumption is 77W, L3 Cache has 8MB. 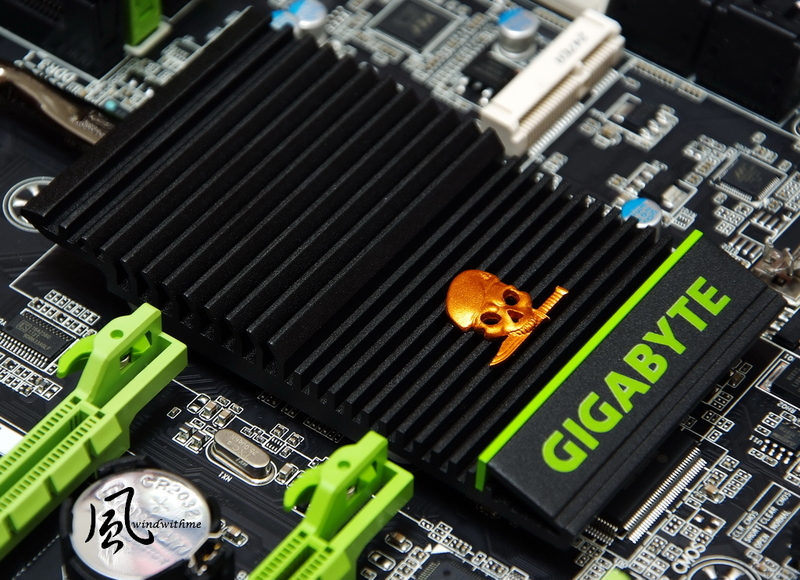 MB uses GIGABYTE last year new series - G1Killer. G1.SNIPER3 has special designs for gaming. 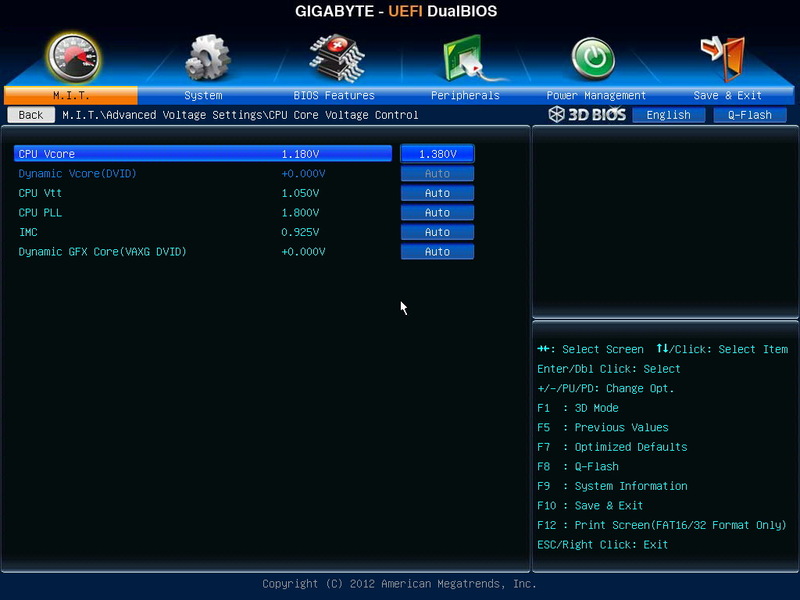 Since X58, Z68, X79 and current Z77, GIGABYTE all has G1 models. SNIPER is 3rd generation now. G1 colors are different with the other brands black and red. It uses black and green as own style. 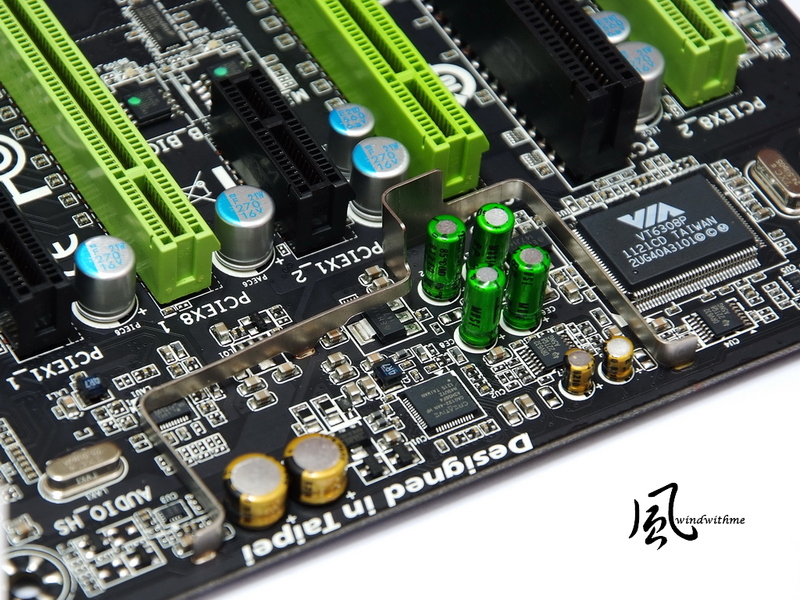 As some jungle war games, PCI-E and DDR3 green slots all fit the concept. 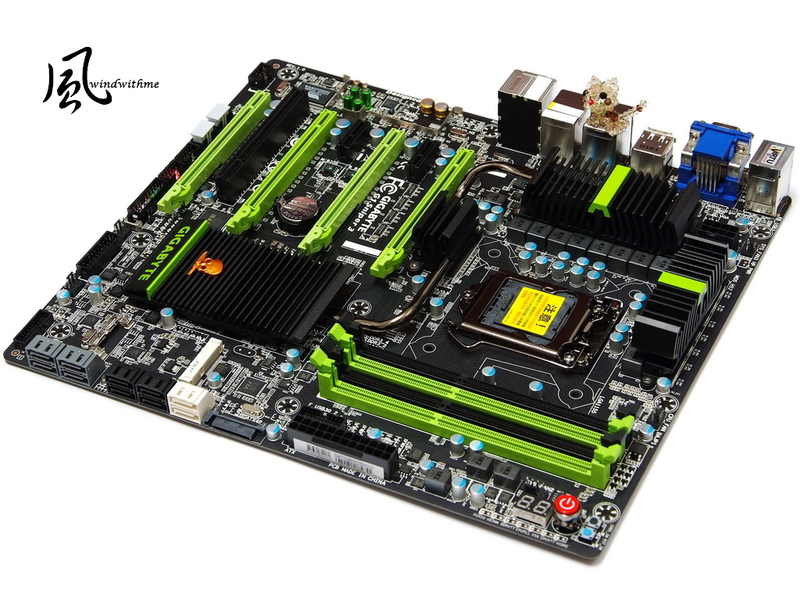 It’s E-ATX, 30.5cm x 26.4cm. As long as it’s not diminished version ATX Case, standard ATX Case can support this form factor. G1 is for Gaming market. 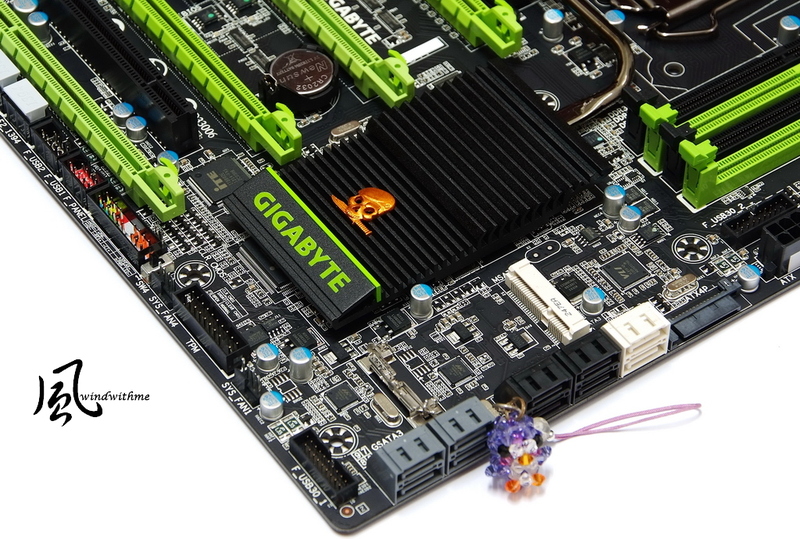 GIGABYTE uses better level chips for audio and LAN. Product manual, software installation guide, drivers CD, IO panel, SLI / CrossFireX bride. 3.5” front control panel, BT 4.0/WiFi card and arena, SATA extended panel, SATA cables. 4 X PCI-E X16 support max 4-Way AMD CrossFireX/nVIDIA SLI technology. Bandwidth is X16 + X8 + X16 + X8 or X8 + X8 + X8 + X8. LAN are rare Qualcomm Atheros Killer E2200 Chip and Intel GbE LAN Chip. It builds in Creative CA0132 audio chip supports 5.1 channels and High Definition Audio technology. It supports hybrid RAID 0, RAID 1, RAID 5 and RAID 10. 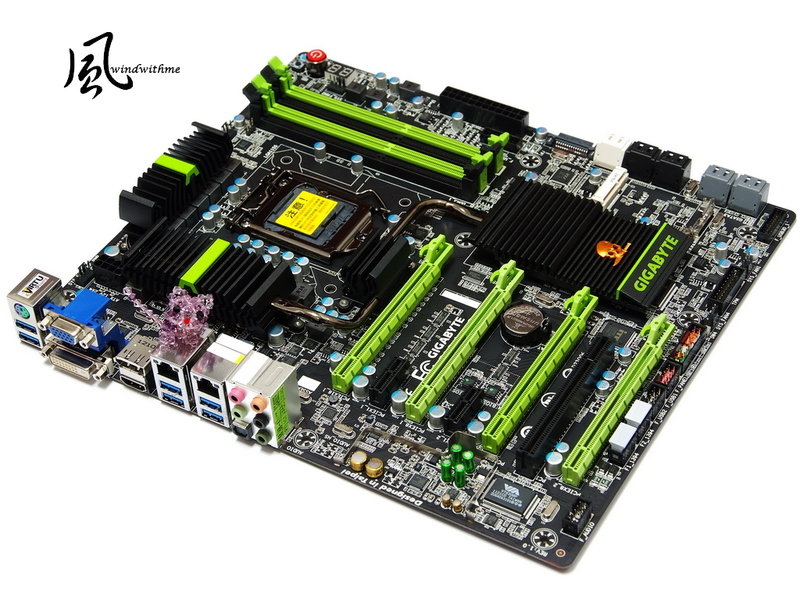 The performance is based on the installed SATA devices. 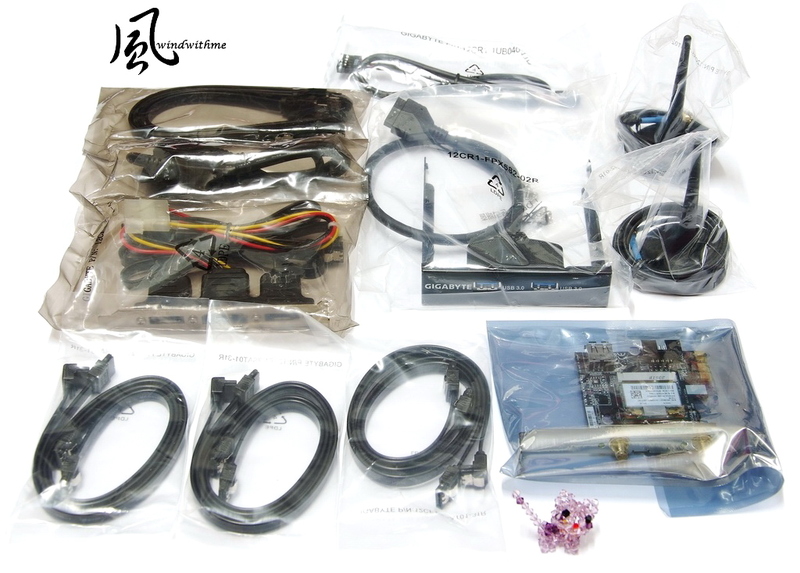 4 X Gray SATA provded by Marvell 88SE9172 and support SATA3. It also supports RAID 0 and RAID 1. 2 X 64 Mbit flash for Dual BIOS. 1 X front USB 3.0 and TPM module header. 4 X DIMM DDR3 support 1066/1333/1600/2666(OC). DDR3 max capacity is 32GB. It supports Extreme Memory Profile technology. Next is 24-PIN power connector. Red is power button, black is Clear CMOS and blue is Restart. Right side has 7 contact points for hardware voltage measurement. The PWM is all digital design. There are 17 phases divided into 12-phase CPU, 1-phase VTT, 2-phase DDR and 2-phase GPU. mSATA SSD slot for small capacity SSD users. Bundling with Intel Smart Response technology, you can enhance your system performance. After installing mSATA, SATA2 5th port will not work. Even though heat sink is still gun liked design, the military feeling is not as strong as former G1. 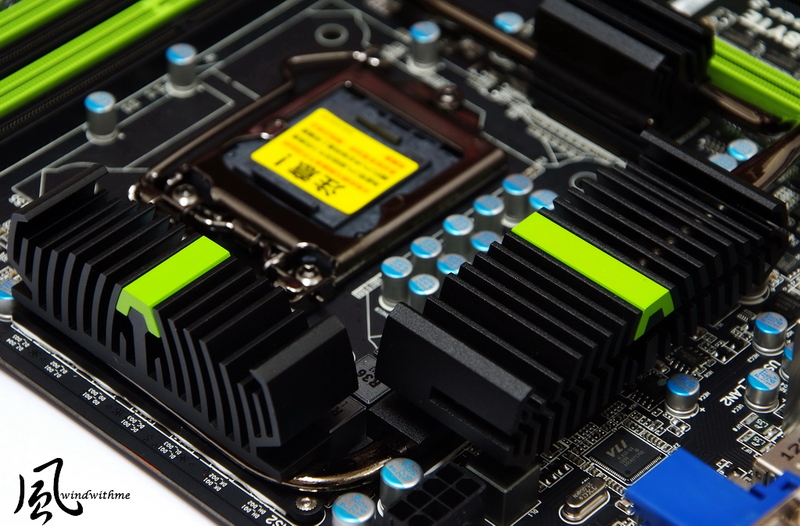 VRM heat sink new design provides more surface. The appearance is better than former design in my own opinion. The matte processed design makes better texture. Also the radiating ability is better. 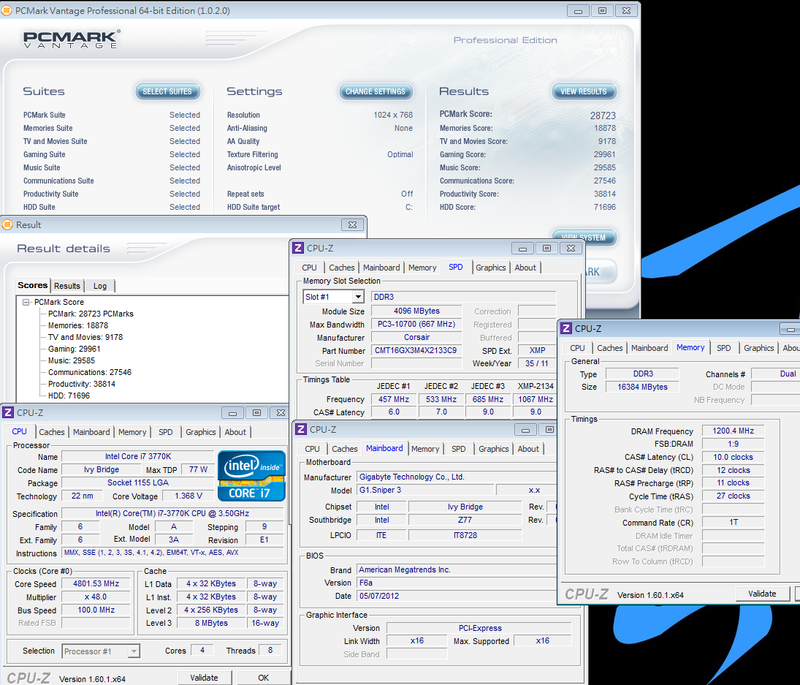 Intel Core i7-3770K default ratio is 35. I set it at 48, which means 4800MHz. X.M.P. item enabled. This CORSAIR DDR3 will set at 2133 parameters. 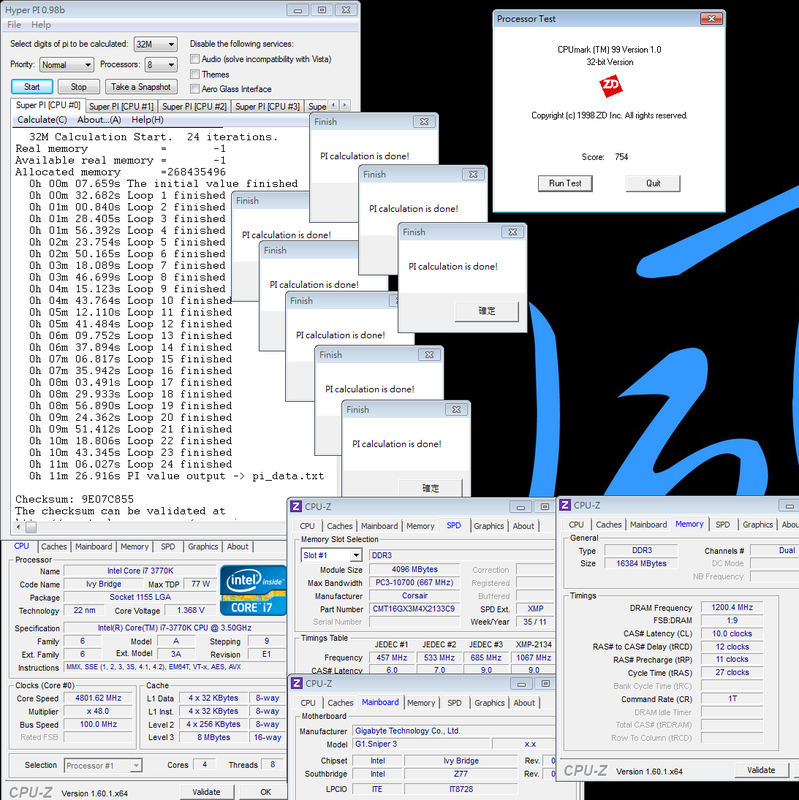 System Memory Multiplier adjusted by DDR3 quality. In the picture, I set at 24, means DDR3 2600. You can set individual CPU Core ratio here. You also can choose how many cores to work. I used to disable C1E/C3C6 and EIST power saving features when OC. 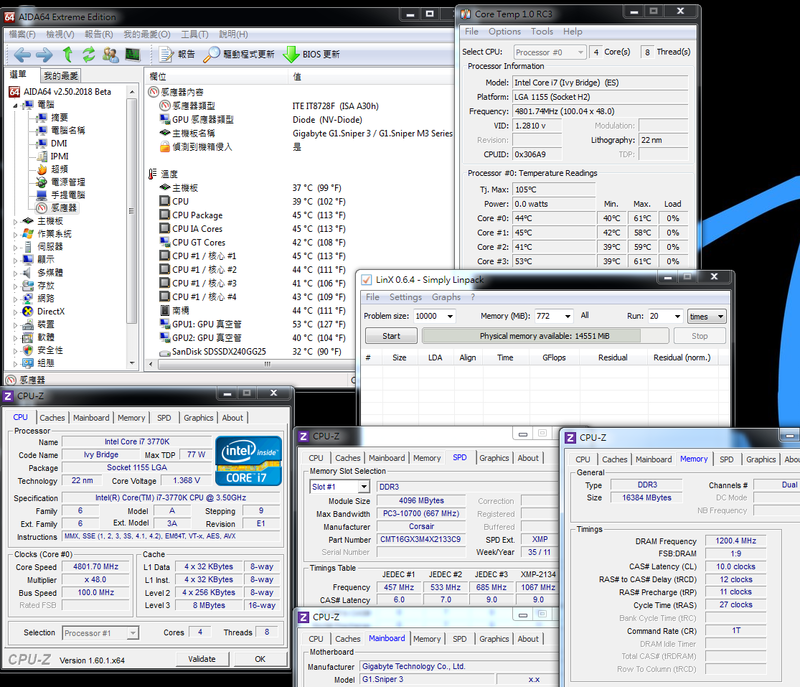 DDR3 2400 latency setting is CL10 12-11-27 1T. This 3770K, OC to 4.8GHz needs CPU Vcore to set at 1.380V. DDR3 2400 1T needs DRAM Voltage to set at 1.600V. 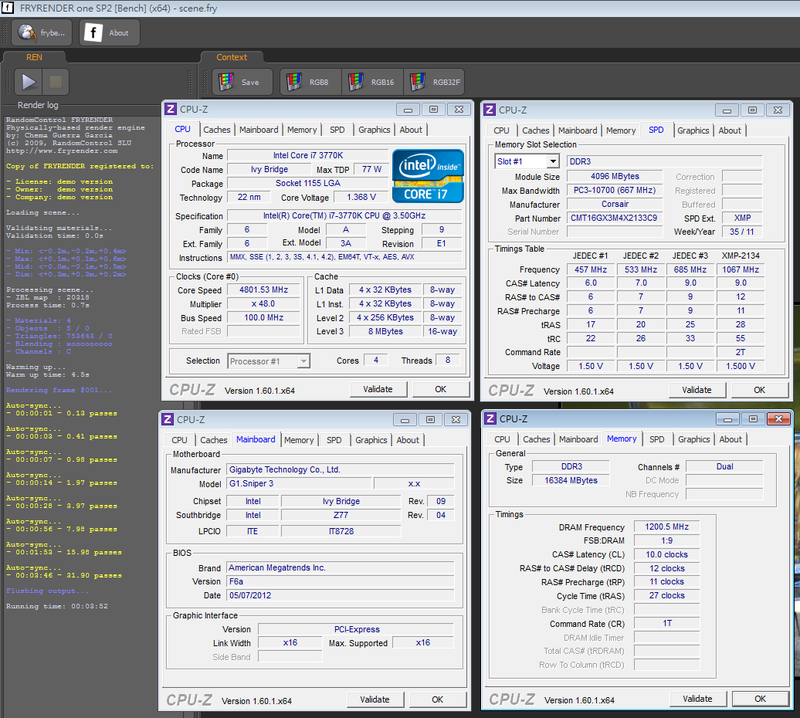 Ivy Bridge structure temperature is higher than former one when OC to 4.5GHz. 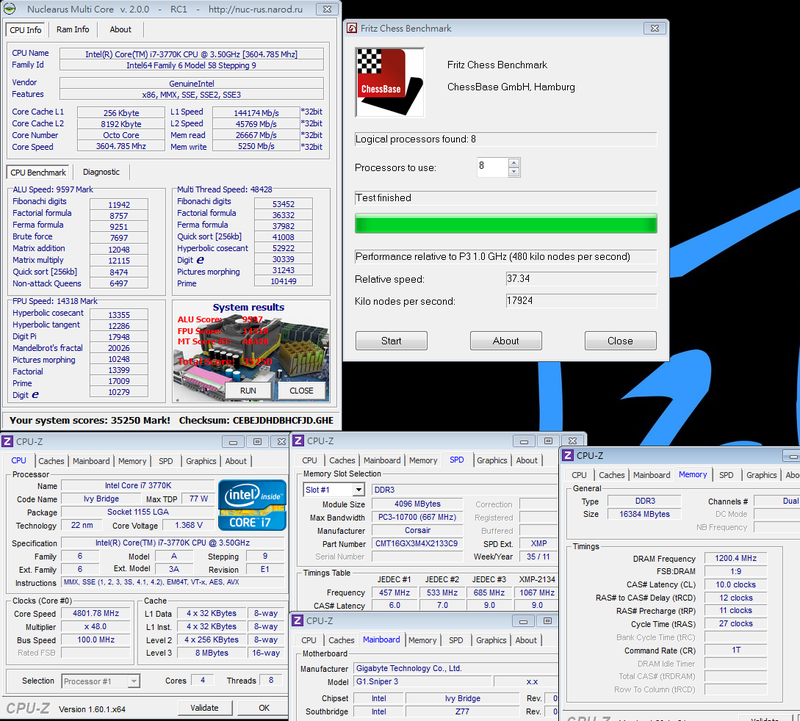 No matter 3770K or 3570K, there are some conditions to OC to 4.5~4.8GHz with Z77. Besides CPU quality, you still need better CPU cooler. High end fan or ware cooler is better choice. Memory Controller OC ability is much improved in Ivy Bridge. But you need better quality IC to reach 2133~2600. 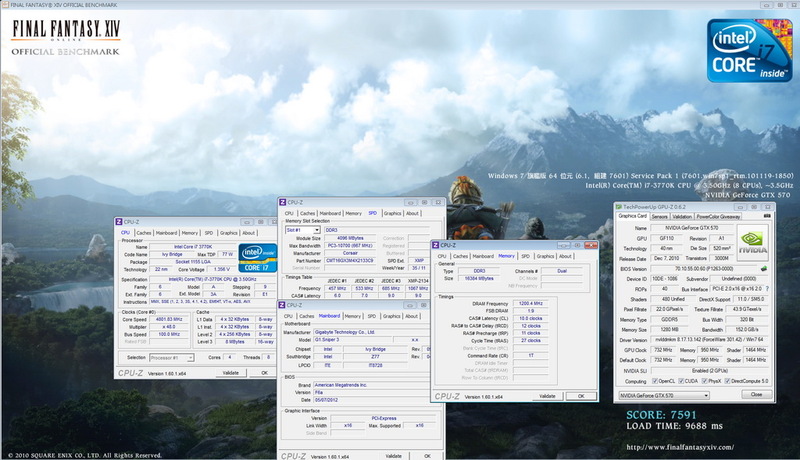 3rd Core i7-3770K compares to windwithme shared 2nd Core i7-2700K. With same frequency, 3770K single thread performance is 3~6% higher and 4C8T is 10~14% higher. i7-3770K and i5-3570K performance have 30% difference at same clock. It’s similar to Sany Bridge. I have shared four Ivy Bridge articles. I hope you can understand 4C8T CPU more. 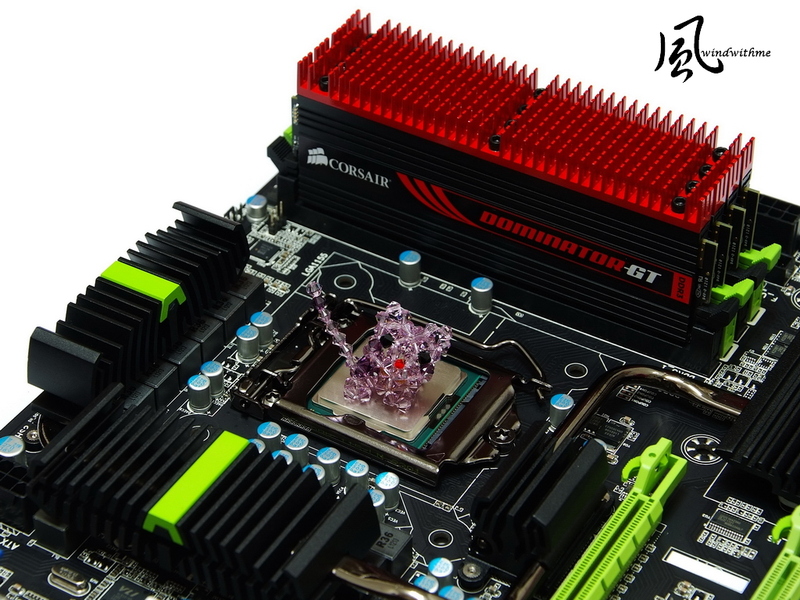 G1.SNIPER3 with CORSAIR DOMINATOR-GT DDR3 2133 can reach 2600 2T stabilize at 2DIMM installed. 4DIMM is DDR3 2400 1T stable. 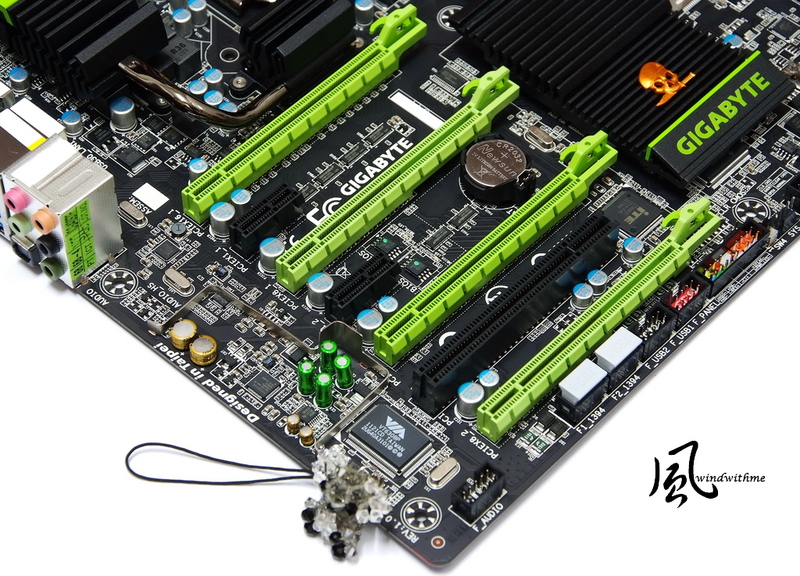 As Ivy Bridge structure, it’s standards above OC performance. 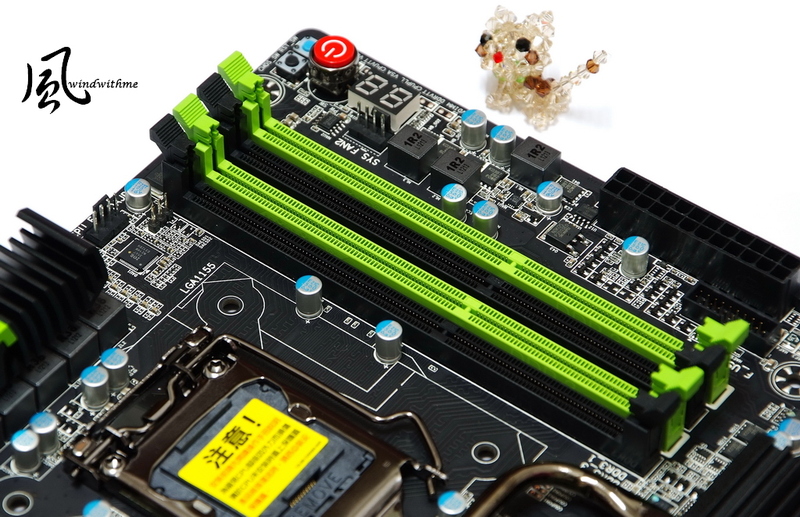 If you have better quality DDR3, you may reach DDR3 2666 above. 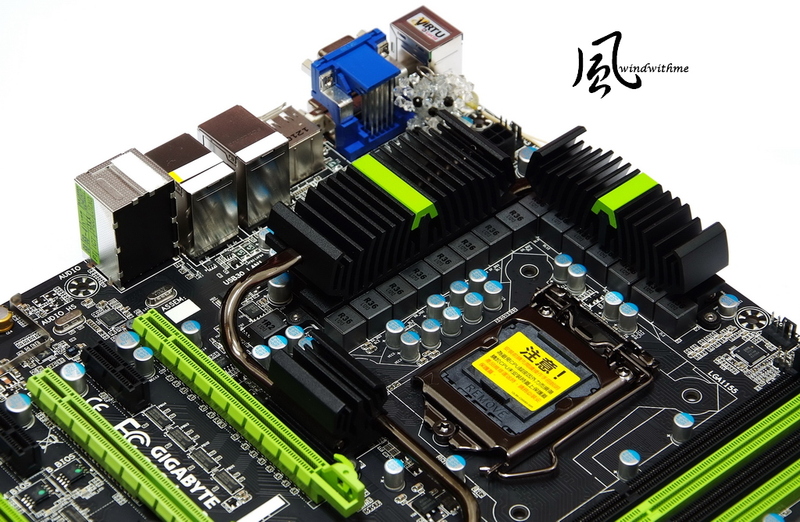 For users who look for higher DDR3 frequency, Z77 chipset and better OC MB are good combo for you. I use market top water cooler, H100. When OC to 4.8GHz, the temperature is around 80~90. One reason is summer room temperature will make full speed higher 5~10 degrees. The other reason is Ivy Bridge temperature is higher 5 degrees than Sandy Bridge. You have to watch out the temperature after OC. 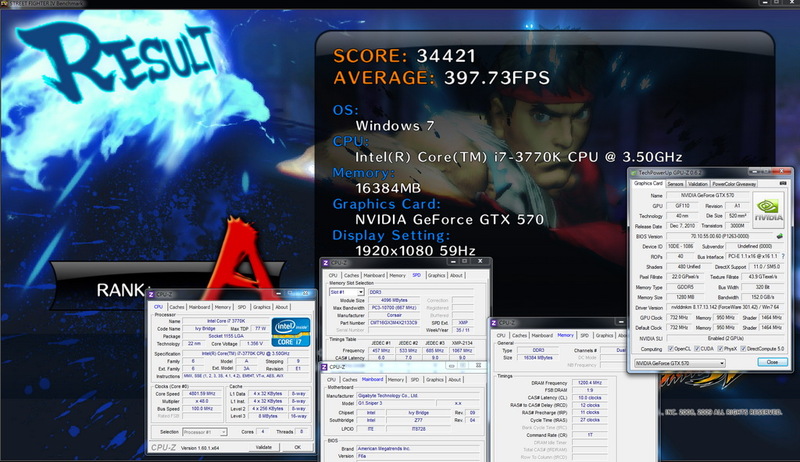 3770K OC to 4.8GHz and using GTX570 SLI both consume more power. When enter to OS desktop, it’s 168W already. 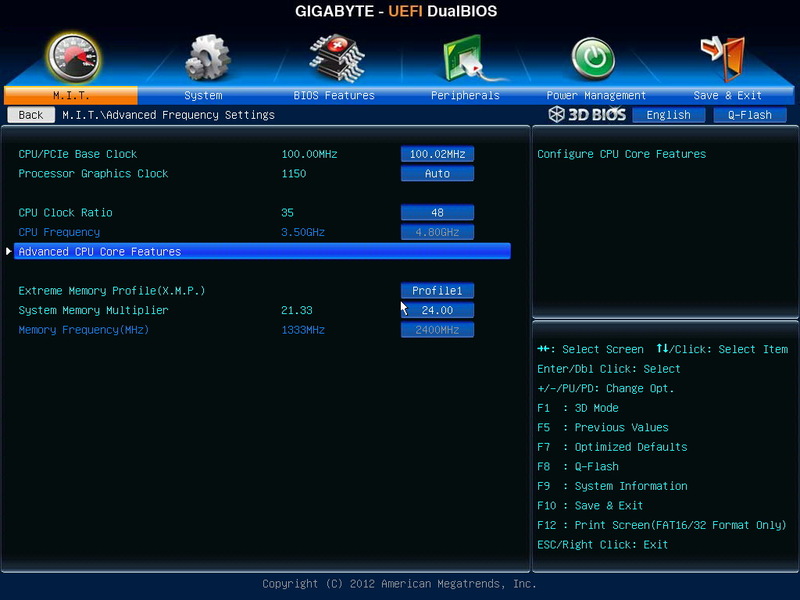 For former review, 3770K default with IGP HD4000 is only 34W. 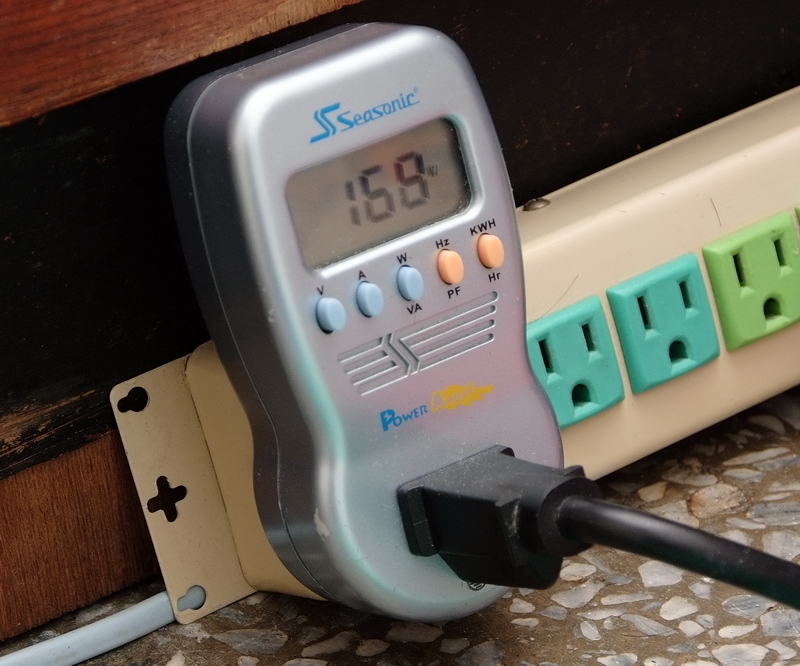 This is very good power consumption performance. 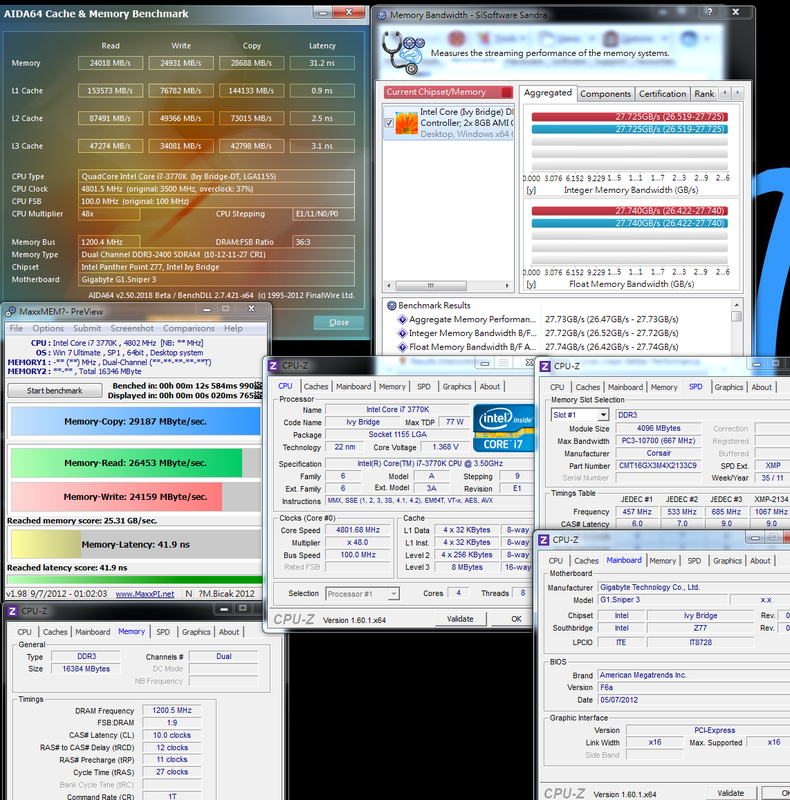 You can see when we OC 3770K to 4.8GHz, full speed only consume 100W more. It approves 22nm saving more power. 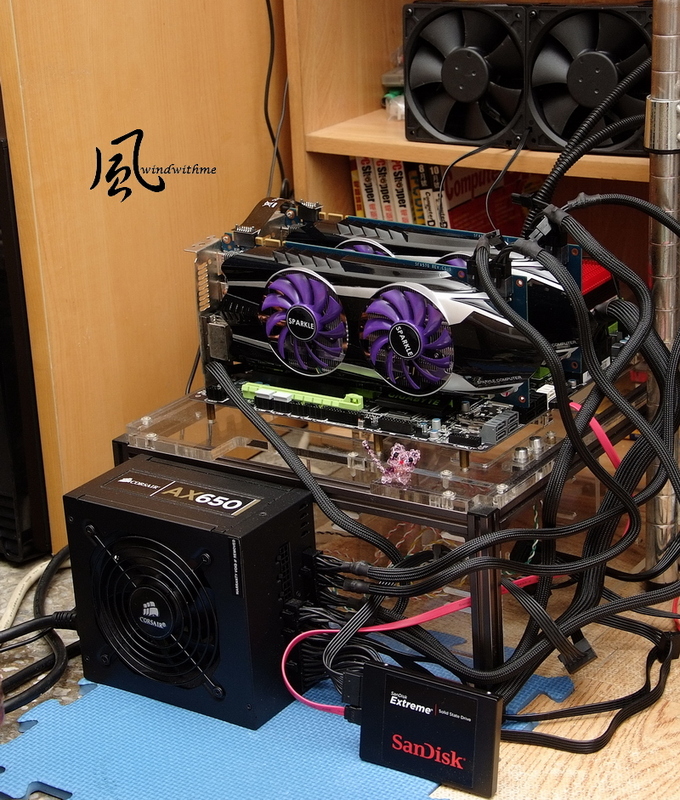 When we run this high end Gaming platform in 3D test software, the power consumption is 600W. Most is by VGA. Former G1.Killer series use Creative CA20K2 audio chip. This time, G1.SNIPER3 changes to newer Creative CA0132. It’s Creative Sound Core3D quad-core audio processor. It supports THX, CRYSTAL VOICE, and so on. Using Nichicon MUSE ES series and MW series Bi-Polarized audio capacitors makes spec and components similar to high end audio card. Let’s see the Creative CA0132 new interface. 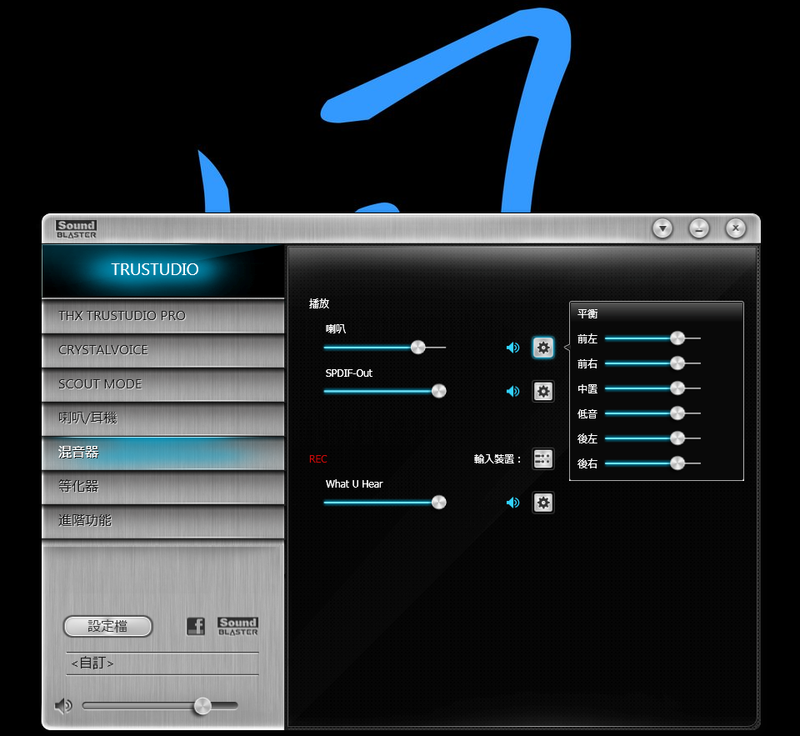 The first screen emphasize the THX audio technology. Speaker/Headset setup page. It supports 5.1 channels and some detail items. Every channel voice volume and REC control. My 3.5mm headset only has SONY NOISE CANCEING level. The audio quality is not too high. I still can use it to distinguish Creative CA0132 and Realtek ALC898 chips. Creative CA0132 has more background detail. The low-frequency is stronger. The high-frequency is not too shrill. The mid-frequency is gruff and deep. Comparing to last CA20K2, mid-frequency and sound field are richer. The software also has more features and practical. Realtek ALC898 voice is very monotonous. It has much less detail, also over shrill in high-frequency. It’s high end Gaming platform, so I use gaming headset to test the audio. 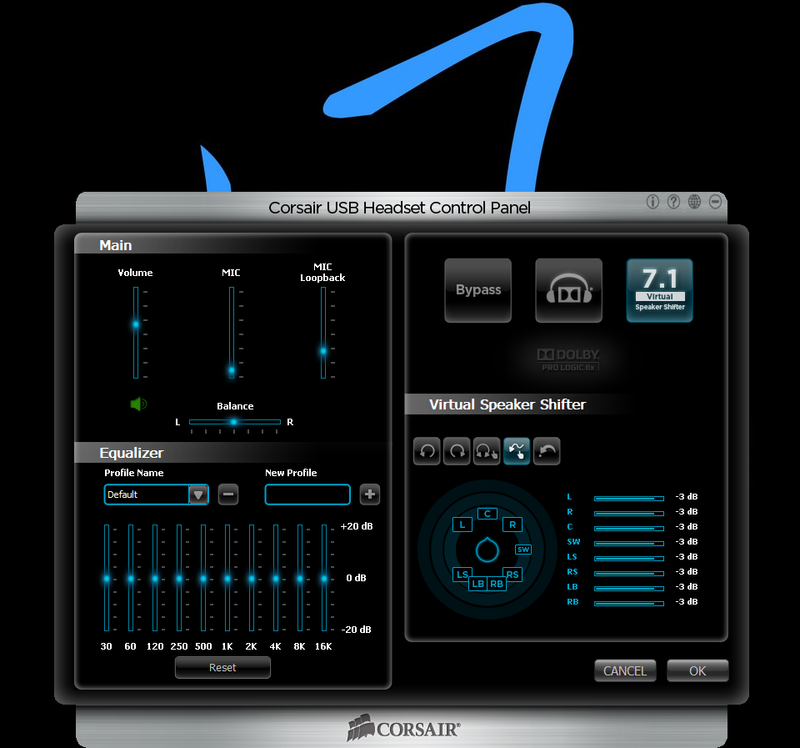 I use CORSAIR Vengeance 1500 Dolby 7.1 USB Gaming Headset to experience. CORSAIR launched several Gaming line up. Headset is one of it. Let’s see the Vengeance 1500 packing first. It’s official 2 years warranty. It’s surrounding design to enhance users comfort. I don’t feel any uncomfortable after use. The controller can adjust the microphone on/off and volume. Both sides are silver color laminated cover with hair-line surface treatment. Overall, the quality and texture is quite high end. If the cable can use gold plating, it will be even better. It also provide microphone, you can talk with your partners in games. 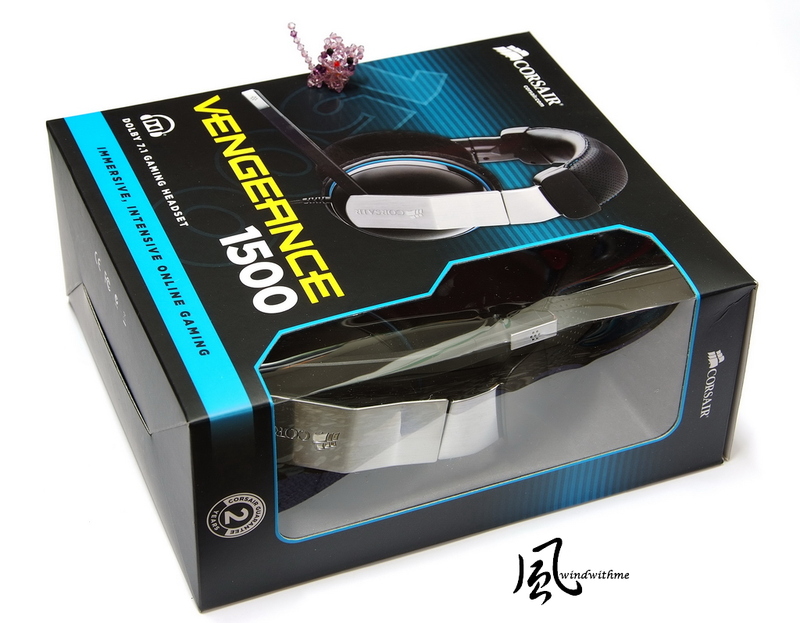 Vengeance 1500 has exclusive driver and software. There are three modes and many details to fine tune the sound quality. Vengeance 1500 position on Gaming segment, the bass is very good. It’s low but not stiff. In game scene, you can hear all details. The position in sound files is also very clear. When I use game profile, Vengeance 1500 is full of live feeling and sound-surround ambiance. If you like listening music, it’s also very good level. Only mid-frequency needs to be improved. Unfortunately, it use USB built-in audio chip. 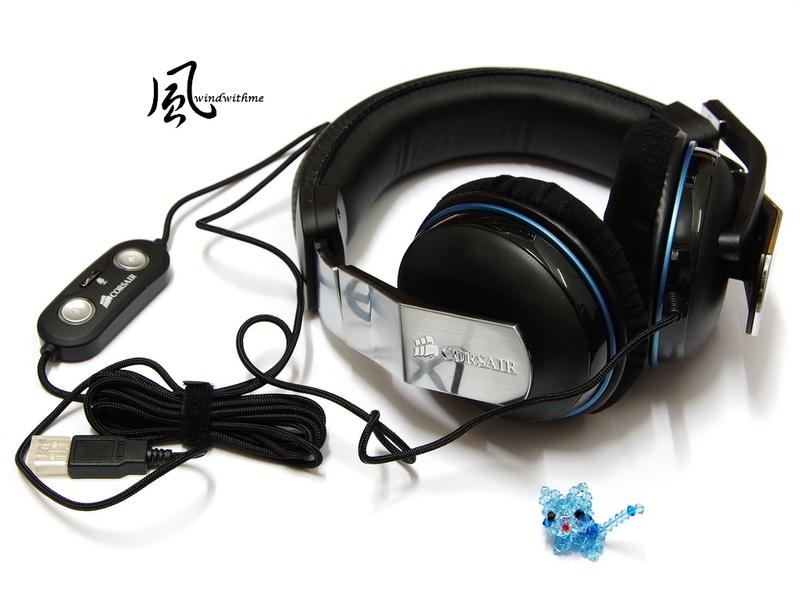 If the headset can work with Creative CA0132, I believe the sound quality will be much better. 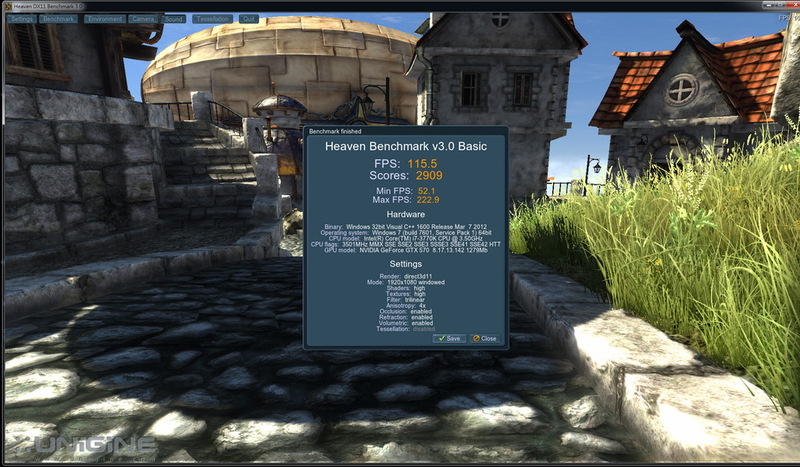 GTX570 is former mid-high VGA, however its’ 3D performance is still good. After enabling SLI, 3DMark Vantage performance improved a lot. The other 3D benchmark software is also enhanced by SLI. SLI 3D performance will be vary by different software. 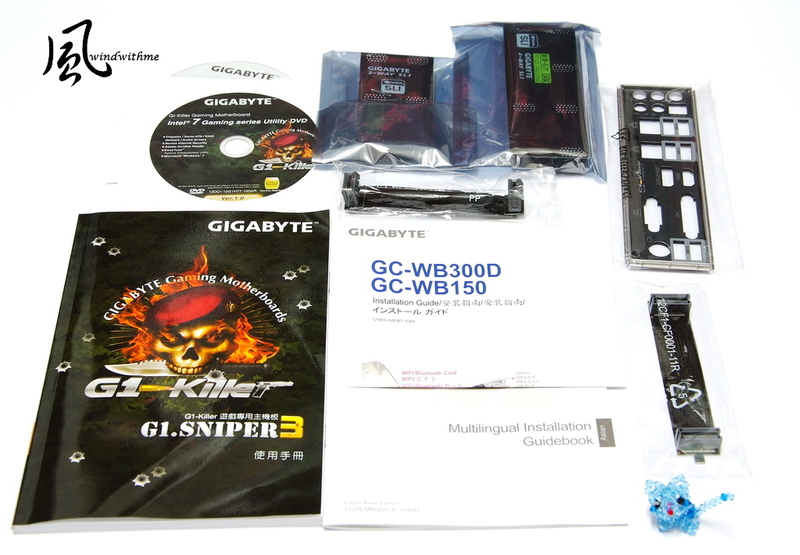 G1.SNIPER3 can support up to 4Way VGA to maximize the expandability. As easy to capture the screen, I set at window mode. The page shows 163 FPS. If you use full screen, the page number will up to 210 FPS. The number is vary by resolution. 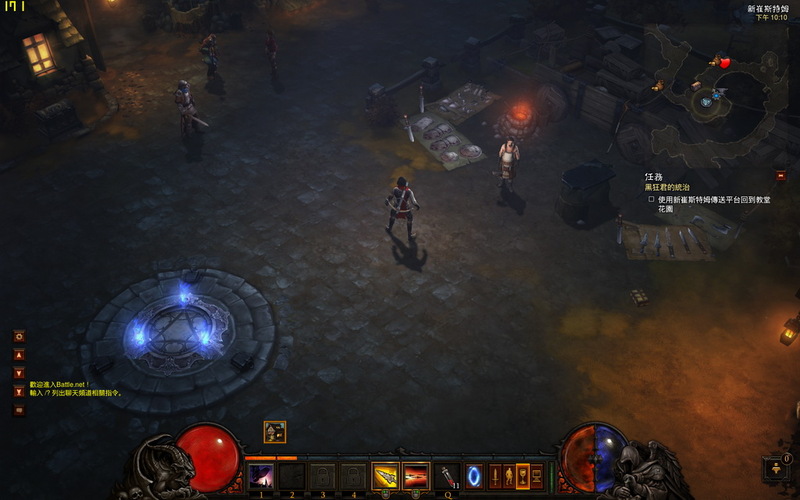 Diablo3 updated revision and some setup, it fix the 100FPS limitation issue. 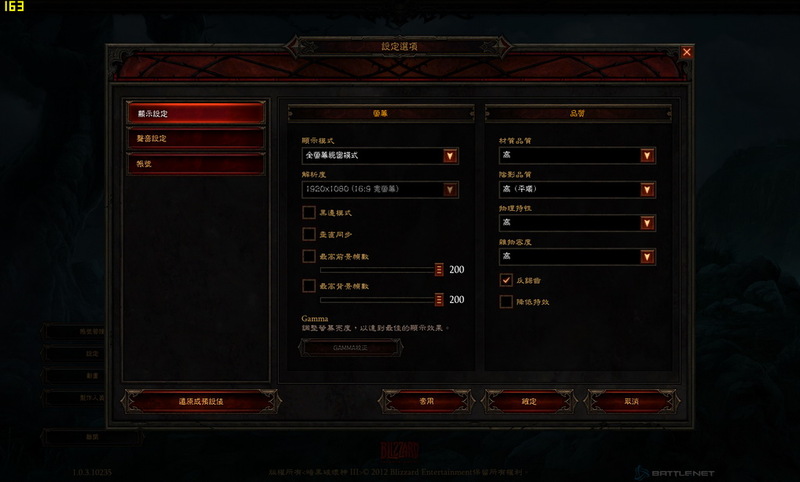 This recent most popular game 3D requirement is not so high, AMD Redaon 7770 is capable to run already. 1.G1-Killer packing is more delicateness than the other high end model. The heat sink is looking better than G1 X79. 2.Creative latest CA0132 audio chip with Japanese high end capacitors, new software and more supported technologies improve sound effect. 4.Exclusive BT4.0 / Wi – Fi card to enhance application with all mobile devices. 5.Front control panel supports USB 3.0 and real time OC features. It also supports headset amplifier which is very rare. 6.Supports up to 4-Way AMD CrossFireX/nVIDIA SLI technology. 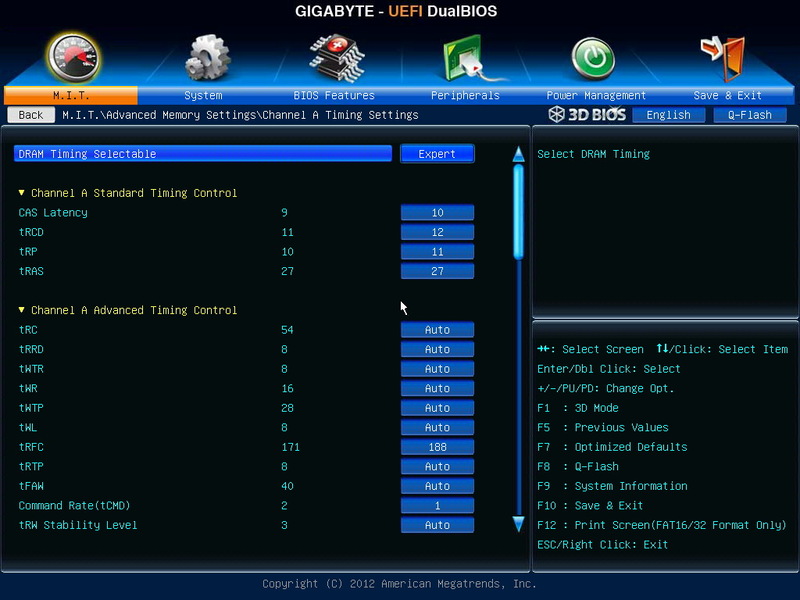 7.BIOS native support Xeon V2 CPU. 1.CPU voltage vibration during standby and full speed should be smaller. Intel Ivy Bridge structure has been launched over 3 months. New 22nm CPU has three advantages, higher performance, lower power consumption and better IGP 3D performance. 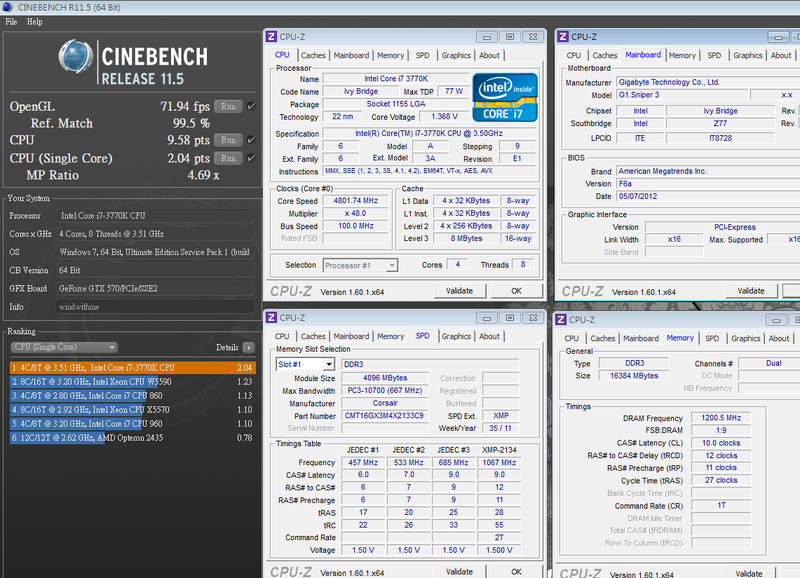 For the temperature, when OC to 4.8GHz, it’s 5 degrees higher than SNB which is needed to improve. 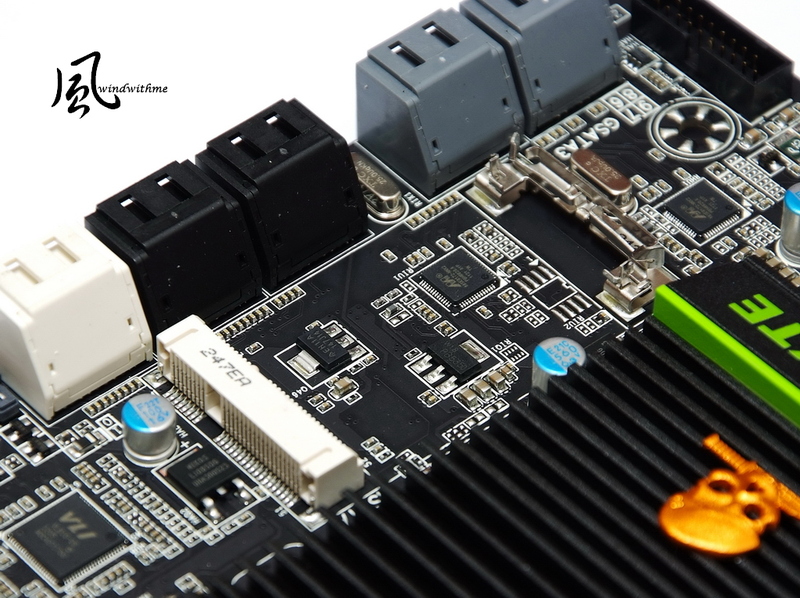 PCI Express Gen3, Intel Smart Connect / Quick Sync 2.0 and Lucid Universal MVP all brings more advantages to new platform. 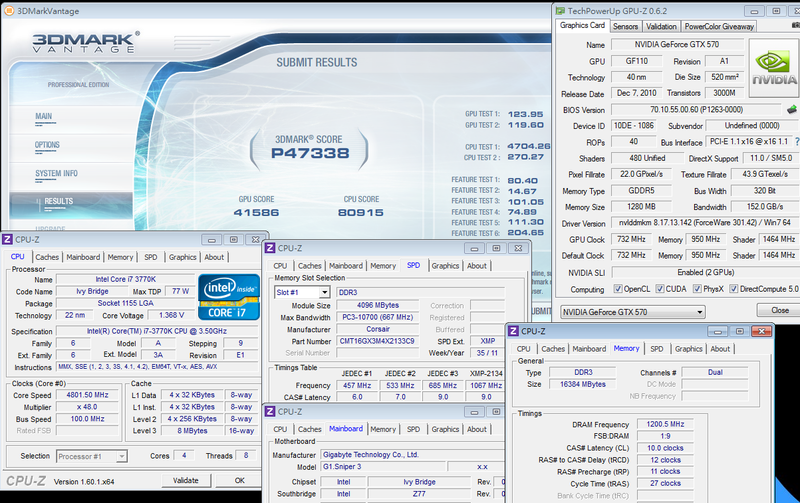 However, Ivy Bridge CPU only has i5 and i7 currently. I do hope i3 and Pentium series can come faster. It will complete the Intel CPU product line and have more choices for entry PC market. 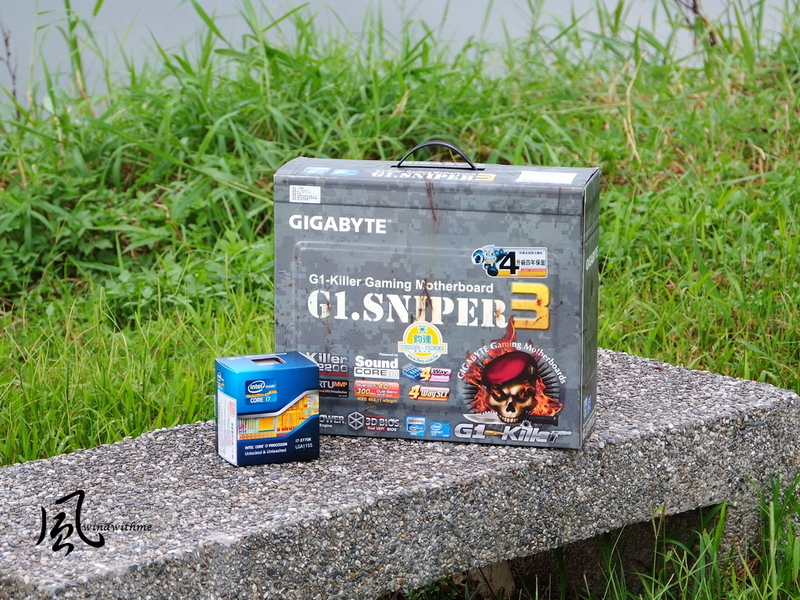 GIGABYTE G1.SNIPER3 is cheaper than former G1 models. This is Z77 benefit. G1.Killer is still in high end MB position. It’s more suitable for higher requirement and budget users. Last G1 X79 thermal module is not good looking. This time, G1 Z77 revision is much better looking and quality. In high Loading mode, the temperature is around 50~55 degrees. It’s very good though. Gaming design is even improved. Audio chip changes to Creative latest CA0132 quad-core audio processor. LAN chip also improves from single Killer NPU to Killer E2200 plus Intel, dual LAN. You can see many improvement and progress in G1 Z77. It fixes several G1 cons. Of course, it’s still some minor points to make it perfect. 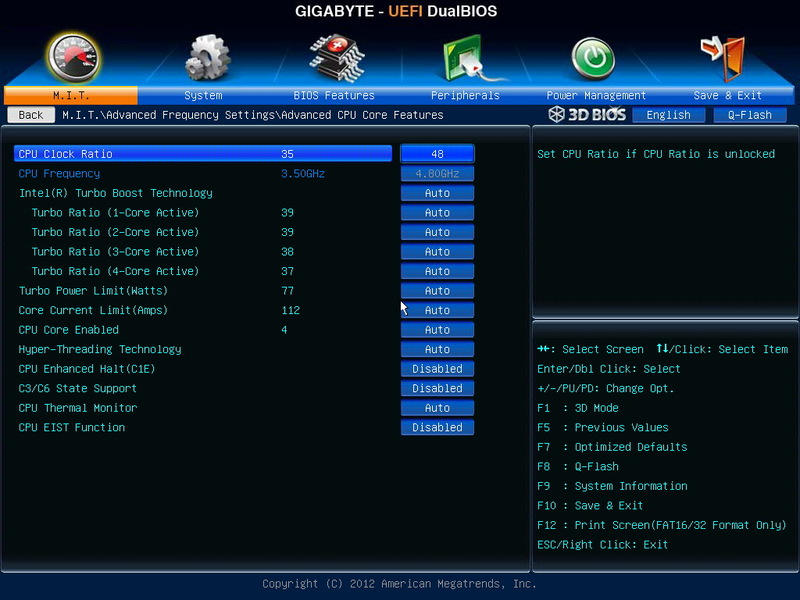 I am glad to see better G1 in further chipset.